While some might expect that rising seniors would spend their last summer before graduation posting poolside selfies on Facebook, Emma Patten ’19 and Lena Ottati ’19, both sociology majors and Gender & Sexuality Studies minors, used that global online platform for a different purpose. Supplementing classroom learning with meaningful lab experience is a cornerstone of most undergraduate science programs, but Stonehill College takes a much broader approach. Stonehill’s SURE program offers students from all of its 47 majors and 51 minors the chance to spend the summer conducting publishable research in collaboration with a faculty member. Forty-nine students worked with 23 faculty members on various SURE projects during summer 2018. 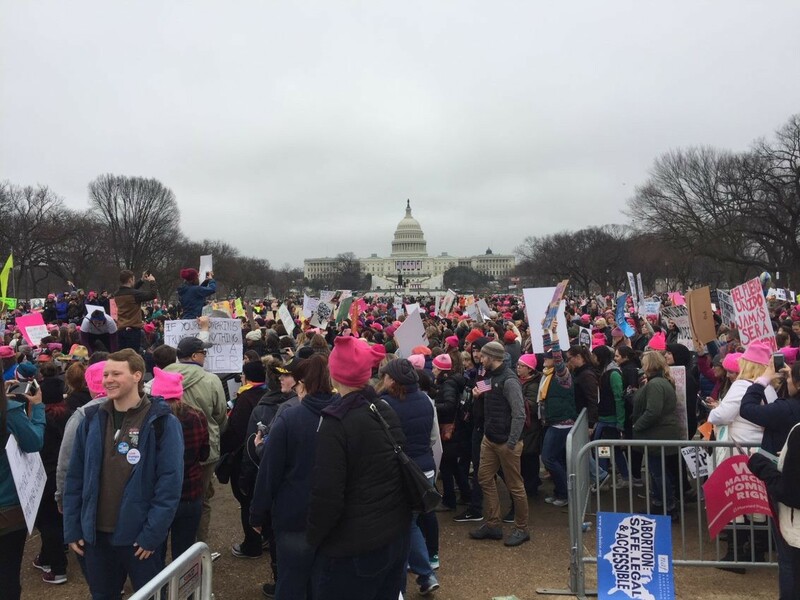 And while the physical sciences were well-represented, there were also many projects that explored the humanities, from the changing face of activism to the impact of Hamilton: An American Musical. Whether researchers were making potentially lifesaving medical discoveries or examining history from a new vantage point, this year’s SURE program furthered the College’s efforts to provide enhanced experiential learning opportunities for students. 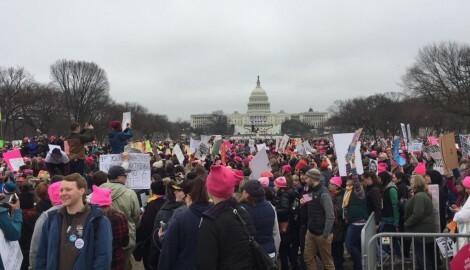 Collaborating with Assistant Professor of Sociology Jungyun Gill, Patten and Ottati designed a study examining the motivations of college students who attended the 2017 Women’s March, the effects participation had on them and their activism since the event. 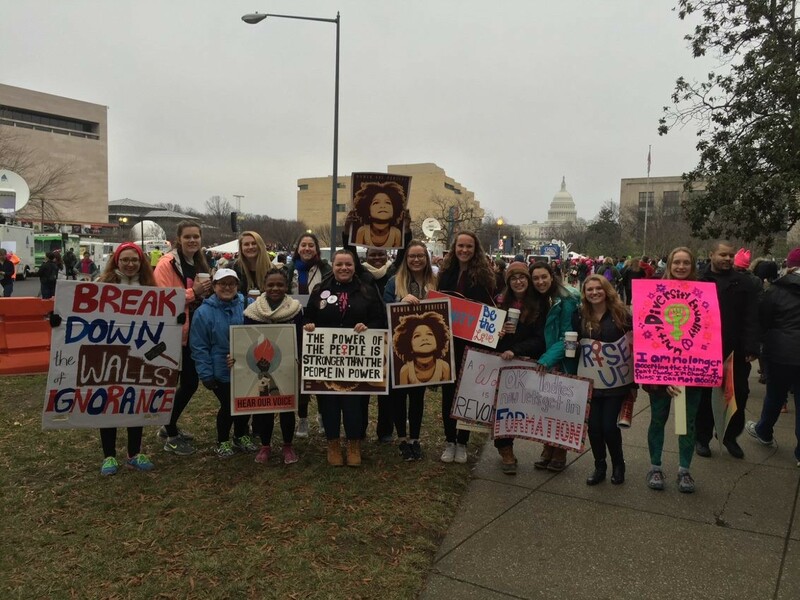 The team collected data by designing surveys and conducting interviews with students who marched. They also searched countless databases for literature on the history of feminism and college activism. The team plans to submit their findings for publication in an academic journal. 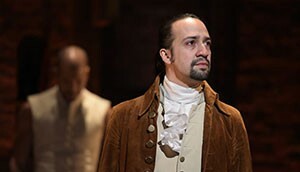 Prior to attending a performance of Hamilton: An American Musical, Associate Professor of History Linzy Brekke-Aloise assumed it would be another production loaded with historical inaccuracies. Little did she know the show would inspire her 2018 SURE project. Brekke-Aloise recruited Siobhan McKenna ’19, a history and secondary education double major, and Nicolette Kolgraf ’19, an English and Gender & Sexuality Studies double major, to conduct research for her upcoming book, which provides a narrative history of Hamilton’s themes. The team also developed a website, “Teaching History with Hamilton,” to accompany the book. The site provides resources for students interested in Hamilton, as well as teachers seeking to integrate the musical into their lessons. Resources include a curated selection of primary source documents, historical podcasts, educational games and more. McKenna, who plans to teach high school history, was responsible for researching existing lesson plans and adapting them for the website. 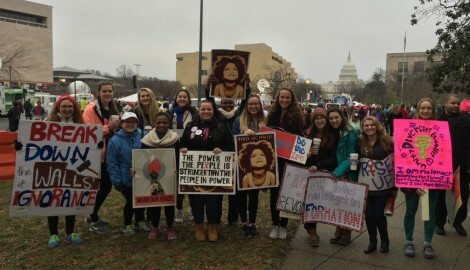 “Through SURE, I got a taste of what developing a curriculum for my future students will be like,” she says. Kolgraf authored posts depicting the teenage years of figures such as Alexander Hamilton for the website’s “Founding Teens” page, allowing her to flex her creative muscles. Students take away not only new skills from SURE, but also a sense of agency. “SURE is a worthwhile investment by Stonehill because it not only supports faculty research, but also allows students to become authors of their own intellectual products,” Brekke-Aloise says. Take the first step toward joining the Stonehill community. Sign up now to be added to our mailing list, and we will show you how Stonehill could become part of your story.